Friends of APPA ($20-$99) are gifted with a certificate of friendship. 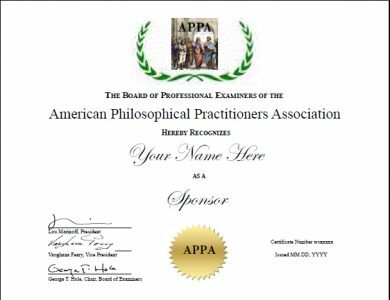 Sponsors of APPA ($100-$499) are gifted with a certificate of sponsorship and a lapel pin. 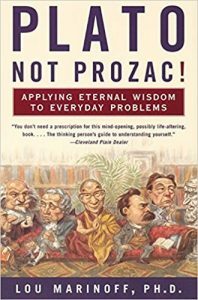 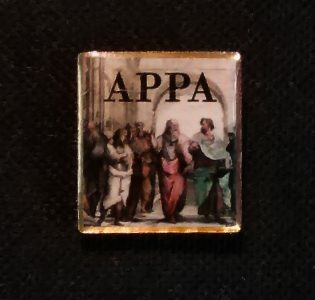 Patrons or Matrons of APPA ($500+) are gifted with a certificate of patronage, a lapel pin, and a signed first edition of Plato Not Prozac.